The literary world is abuzz with the recent announcements of the 2011 winners of the coveted Pulitzer Prize. First initiated in 1917, the Pulitzer is administered by Columbia University and the winners are selected by a special Board of judges that evaluate for both journalistic excellence, as well as excellence in different categories of the arts. The winners for this year include Jennifer Egan in the category of distinguished fiction by an American author, Eric Foner received the award for a distinguished documented work in United States History, Ron Chernow was awarded the Pulitzer for a distinguished Biography by an American author, Siddharth Mukherjee was the Pulitzer winner for distinguished and documented work of Nonfiction, and Kay Ryan was awarded the Pulitzer Prize for Poetry. A Visit from the Goon Squad by Jennifer Egan also won the National Book Critics Circle Award for fiction earlier this year. A remarkable book, where several stories and characters are interlocked together, with a cohesiveness that makes this an outstanding work of fiction. The novel centers around Sasha a young woman, and Bennie, a record company executive. Every chapter brings a totally different narrative voice along with new characters who inevitably touch the lives of Sasha and Bennie. Readers witness the gradual passage of time as it leaves its indelible mark on each of the characters in the novel. Amongst the sizeable literature about Abraham Lincoln that exists today, this new work by Eric Foner, a Professor of History at Columbia University, stands out in the unique perspective and insight that it provides readers about Lincoln the President, his gradual moral and political transformation, as he navigated through the shifting political landscape of the 1800s, and his final role as a leader who put an end to the institution of slavery in America through alliances with both his allies as well as his opponents. As an expert on the Civil War era, Foner is able to shed new light on the subject of Lincoln and slavery in this fascinating read. The author brilliantly portrays the personal and public facets of Washington’s life to provide readers with a unique and intimate portrayal of the first president of the United States that is quite different from the many other excellent biographies that exist on Washington. Chernow draws on the vast amount of new information about Washington that has been accumulated in the Papers of George Washington, a research project under way at the University of Virginia. Chernow seeks to take away some of the elusiveness that surrounds Washington and bring to light hitherto unknown traits of his personality and qualities that may well cause us to reassess our perception of this enigmatic leader. In the 900 plus pages of the book Chernow also provides a detailed analysis of the military decisions made by Washington during the Revolutionary Wars that demonstrate his political acumen and his incredible powers to hold his troops together in the most adverse of times. The book is a fascinating account of different facets of cancer that provides readers with a time line of how this disease has been perceived and treated over the centuries. Scientific discussions are interspersed with stories about real people, and the hope and despair that become an intrinsic part of the lives of cancer patients. Mukherjee also explores emerging genomic research and novel treatments and the important question of whether cancer can be completely eradicated. His answer is eloquent and disturbing at the same time, “We can rid ourselves of cancer, then, only as much as we can rid ourselves of the processes in our physiology that depend on growth — aging, regeneration, healing, reproduction.” Also featured in the January 11, 2011 column of Books to Get You Thinking. Enjoy the beach without the crowds! Bring fun-in-the-sun to your home with this easy-to-make ocean-in-a-bottle craft. What you will need -A clean bottle with cap -Water -Glue -Clear vegetable or mineral oil -Blue food coloring -A funnel (or small paper cup) -Glitter -Sand -Various charms, small shells, etc. What you will do: 1.Remove all labels from the bottle. 2.Fill the bottle half-way with tap water. 3.Add 2-3 drops of blue food coloring and swirl gently to mix. 4.Using the funnel, add glitter. 5.Add charms, sea shells, etc. 6.Using the funnel, add the sand. 7.Using the funnel, fill the rest of the bottle with the clear oil. 8.Put glue around the rim of the bottle and seal on cap. 9.Once the glue is dry, turn bottle on the side and gently rock it back and forth to make your own ocean waves! Walt Disney’s birthday, December 5th, tends to initiate Disney-themed gatherings at libraries, malls, and bookstores for children. Exploring Walter Elias Disney as an adult, however, can provide an entirely new perspective on the man behind the magic. 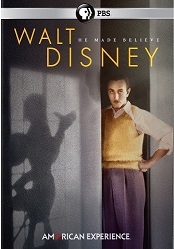 From Bob Thomas’ biography, Walt Disney: An American Original (the first extensive Disney biography, written with the Disney family’s authorization), to Marc Eliot’s “unauthorized” biography, Walt Disney: Hollywood’s Dark Prince, adults can start to uncover much more than the origins of Mickey Mouse and Disneyland. Whether you are intrigued by his art, animation, personal life, or business practices, sources outlining Disney’s imagination and creativity - beyond the traditional biography - are accessible to you via a variety of books and DVDs available at Mercer County Libraries. Marijuana is a plant in the cannabaceae family which has been used for medicinal, spiritual and recreational purposes for thousands of years. At the turn of the last century it was a common ingredient, along with cocaine and heroin, in many over-the-counter medicines sold in the United States. Eventually cannabis, its proper name, became associated with poor people, immigrants and people of color in the U.S. who were vying for jobs during the Great Depression. The name marijuana was coined by William Randolph Hearst as a racist slur against Mexicans. This was quickly followed by pulp fiction books and movies, such as the campy cult classic Reefer Madness, that made the most absurd and extreme claims about marijuana; mainly that smoking it would turn one into a crazed, murderous, criminal and sexual libertine. Based on no scientific evidence, cannabis was classified as a schedule one drug (no currently accepted medical use and a high potential for abuse).